Rev 22:3b...and the leaves of the tree were the healing of the nations - Ez 47:12 ..their fruit shall be for food, and their leaves for medicine! Greens will help you achieve radiant health! Health Guru and author, David Wolfe is emphatic that greens are often the overlooked key to the radiant health you deserve. we would find that green leaves would be a big part of our diet. Look around you, visit any forest, farm, park or orchard and you will find that the predominant food available is wild green leafy foods. All frugivorous primates eat green leafy vegetables. Orangutans, chimpanzees, and gorillas eat grass and leaves, among other foods. Humans are the weakest primate (pound for pound) because we eat cooked food and agricultural food. Imagine what would happen to a tribe of gorillas fed on donuts and coffee for several generations? If we ate wild raw food we would find that we would become strong like wild animals. In December 1930, the press reported the incident of a young human infant who had been kidnapped by a baboon. For 13yrs thereafter, the young boy was raised among the baboons. At age 14, he was captured by a hunter and returned to his mother. It was soon noted that he was tremendously powerful, being able to man a 14 pound sledgehammer in the blacksmith shop and turning a heavy lathe all day without the slightest sign of fatigue. His mother was never able to make him eat cooked food. In March 1935, a young girl was found living in the Carpathian Mountains (in Europe). She was captured in a remote district where wild boars, wolves, and bears lived. When captured she put up a great fight against several lumberman and exhibited “super human strength”. She refused all food except for flowers, plants and grass. These are true and exciting stories which reveal the tremendous power in wild foods and wild living. Greens are important for their stabilizing alkaline effect, and because they are such fantastic source of the minerals we need, both for vibrant health and for cleansing. Here’s what Fred Patenaude, Author, Raw Foodist, writes about the power of greens! - Help you feel so energetic that you'll literally jump out of bed in the morning! - Help you prevent and overcome deficiencies of all kinds. But there's something more critical. Greens provide essential alkaline minerals such as calcium and magnesium that are found in insufficient quantities in fruit, nuts and seeds, not to mention other more conventional, acid-forming foods such as bread and meat. To provide enough minerals in the diet, we need a sufficient quantity of green vegetables. We need also a good variety of green vegetables. Just celery and romaine lettuce might not be enough to provide most people's mineral needs. Do you eat enough greens? There's another problem... we need to eat greens in such a way that the nutrients can be easily ‘assimilated’ by the body. Salads are great, but often the tough fiber of greens is not chewed or broken down well enough in order for the nutrients to be well assimilated! 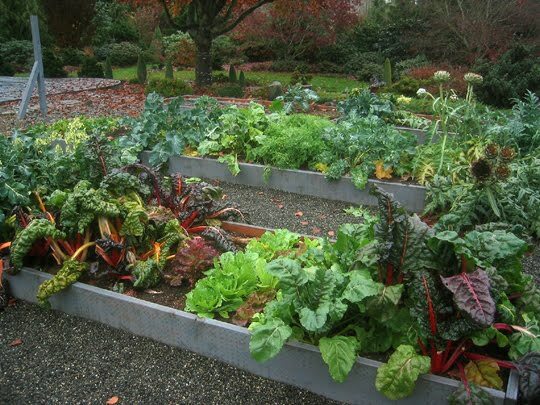 We also need to include the richer greens, those that contain the most minerals, more often in our diet. Green-leaf vegetables are the best source of folic acid and folates which are of particular importance for pregnant women, and are important for their stabilizing alkaline effect on the body. Greens are rich in potassium, calcium, iron and zinc and also rich with magnesium. All of these minerals are essential for human health. How much is enough greens? Most people would quickly respond, I eat lots of veggies! But I can assure you it would be nowhere close to the amount needed by our bodies every day!! The greatest way I discovered to get my daily greens is with my green smoothies. Many have joined, if I could affectionately name it, the green smoothie club. A lot of raw fooders begin their day this way. Fred Patenaude inspired me to start making a fruit smoothie and to throw in a hearty handful of various greens. The combinations are endless and ensure you will get your daily recommended dose! They are a great way to eat certain greens- even if you don’t like them! The fruit camouflages their flavour. GREEN SMOOTHIES-THE WAY TO GO! All you need is a good quality blender (preferably)- a cheaper brand is fine to start out with! -is a great way to start! -4 apples with a punnet of blueberries. They are filling and very nutritious. You couldn’t start your day on a better foot. Take the 7 day challenge. Make enough smoothie to keep you going through to lunch (3 Medium glasses) and do this for a week- you’ll have far more energy, than that of toast or cereal! “Of all the knowledge, that most worth having, is knowledge about health. The first requisite of a good life is to be a healthy person”. Did you know that edible weeds are of a higher mineral content than any commercially grown produce. Take a look in your garden. These edible weeds are just fabulous to add to your smoothies and salads. Im so glad to tell you of the various testimonies I've had of remarkable improvements of many conditions. Aside from the increased energy reports I get all the time, its exciting to hear many folk experiencing change to their eyesight, digestion, mood swings, blood sugar levels, cholesterol, arthritis, and in general overall wellbeing! That's what re-mineralizing a body will do. Most of us have been so deficient that improvement may come overnight. As the old saying goes..When your on a good thing stick to it!